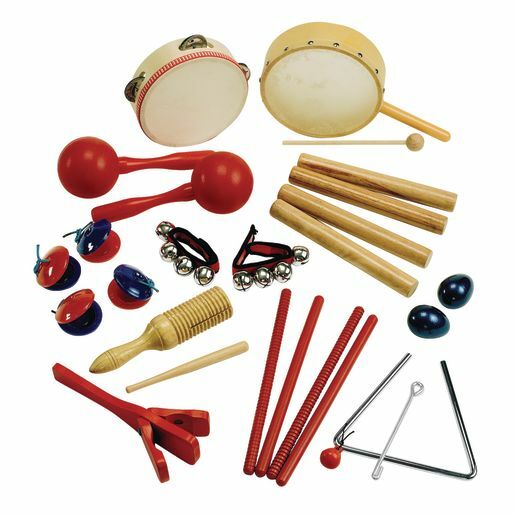 Create a rhythm band that is child-tested and approved. Only the most popular instruments were selected to make up this set for child-pleasing fun. Each set will give hours of cooperative play and merry music making. Storage bin included.